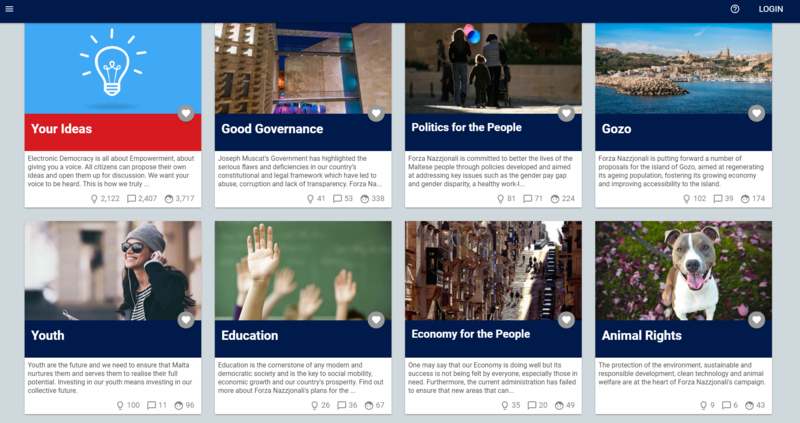 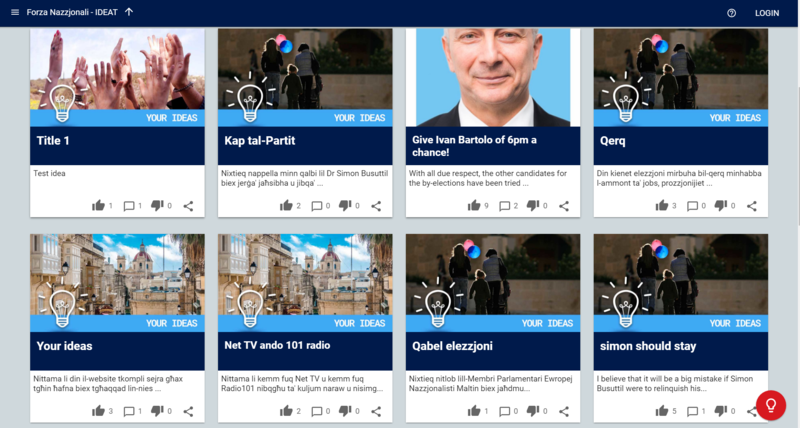 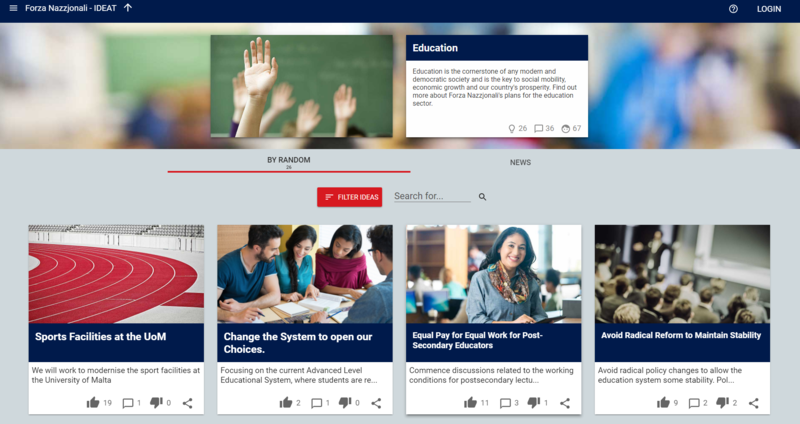 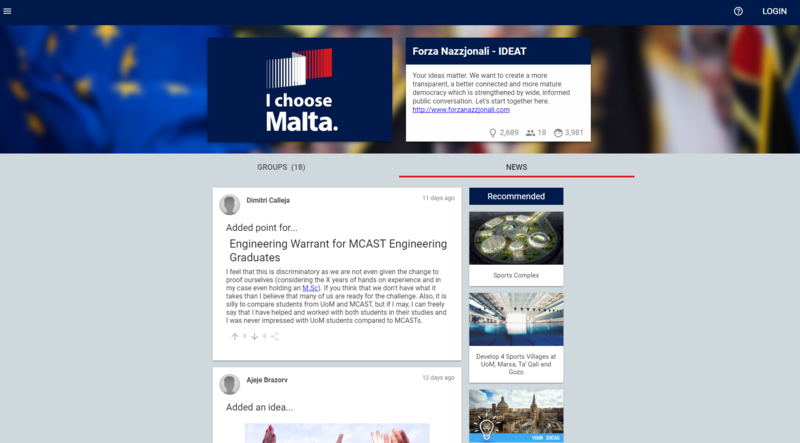 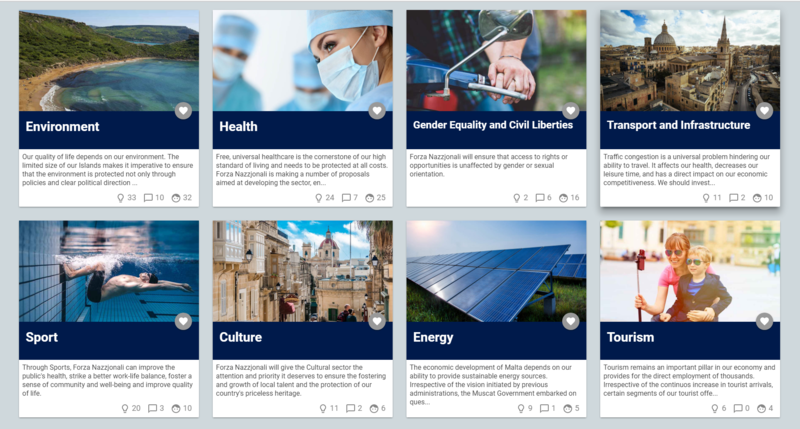 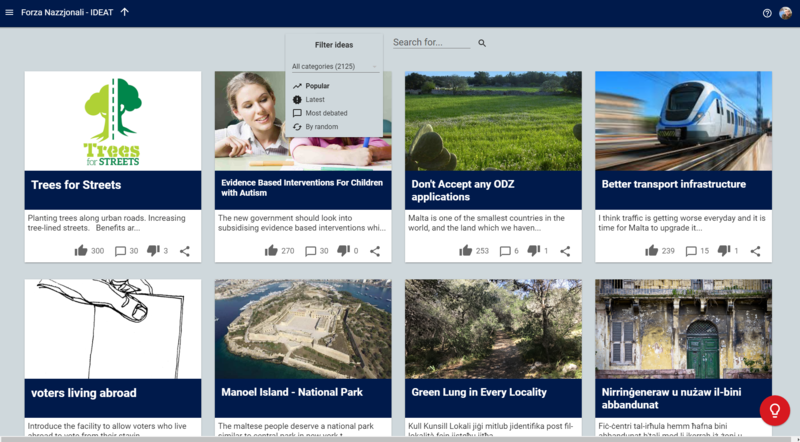 Malta’s centre-right political party Forza Nazzjonali took to Your Priorities in the build up to snap elections in Malta in 2017, crowdsourcing ideas from the citizenry as well as disseminating campaign policies. 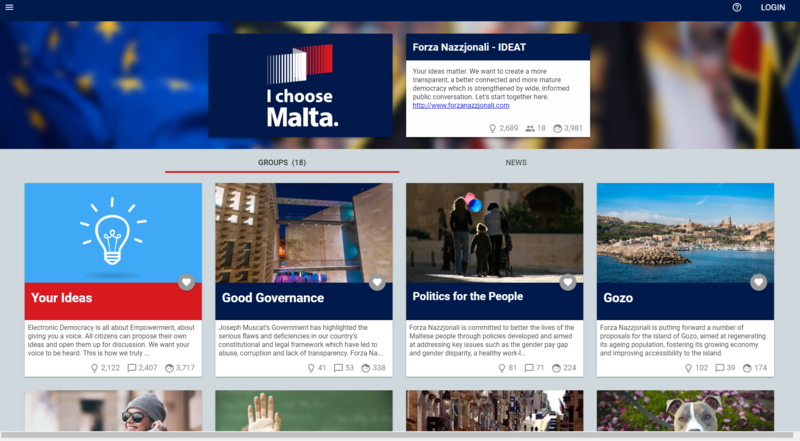 The crowdsourcing campaign was a huge success with more than 31.000 visitors in a country of 341.000 registered voters. 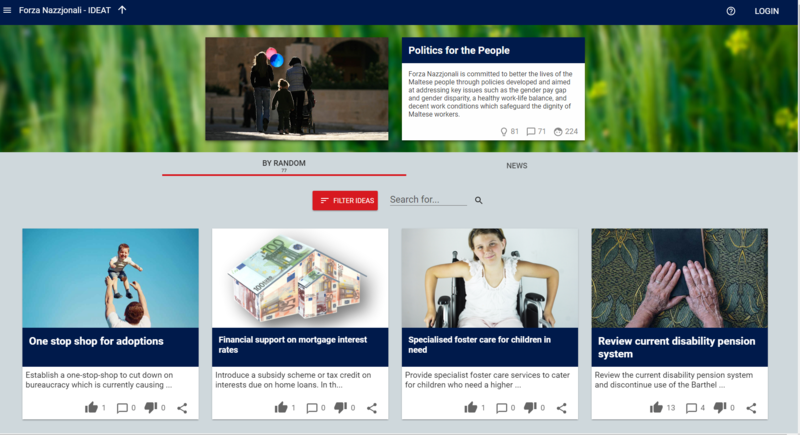 The campaign saw 2600 ideas generated from close to 4.000 registered users, that in some cases had direct impact on the party’s manifesto.